Tearing out everything down to the studs offers lots of green options. Gutting a building down to its frame can be a good green way to get a fresh start while the walls, floors, ceilings and roof are opened up. 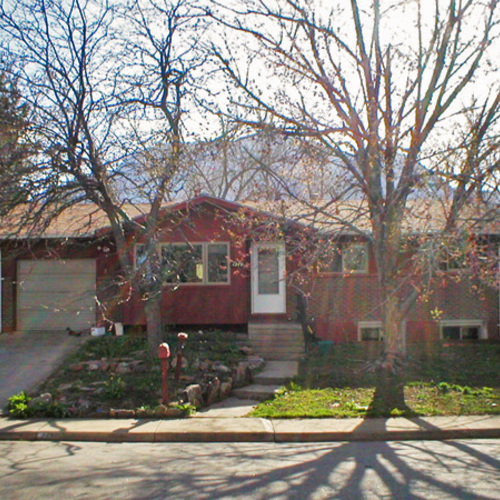 Questions about insulation, air sealing, and utilities disappear once you can see everything. A green rehab should focus on bringing the interior up to contemporary standards for form and function while honoring how the building has survived. During demolition, consider reuse, recycling and land fill options for all the materials that are removed from the house. Reusing materials is normally a great strategy for conserving resources, but only if the result is a high-performance building — energy- and water-efficient, durable, and healthy. Environmental quality is a paramount concern both during and after a gut rehab because many older buildings contain hazardous materials. Old buildings tend to have many layers, so it’s easy to miss some of the gems from the original design that might be brought back to the surface. Not all older buildings have historical architectural features that are worth preserving, but it’s worth exploring the possibility. 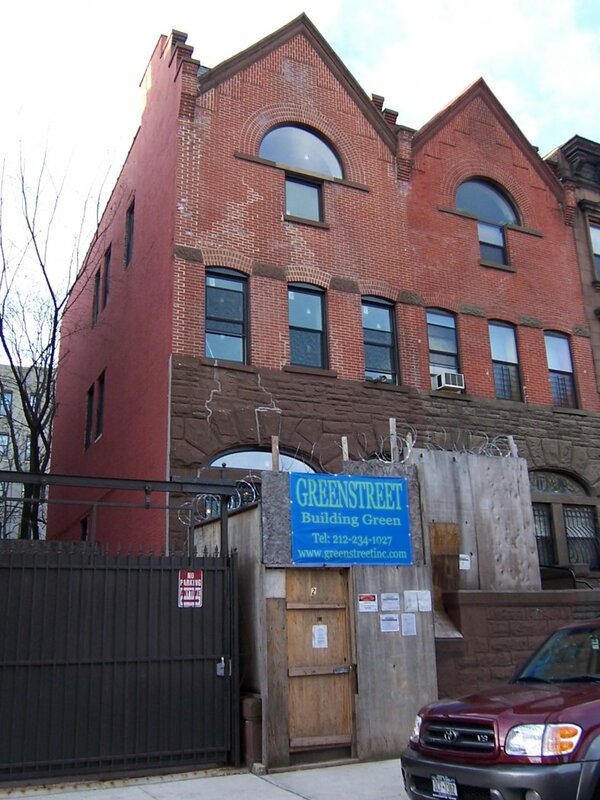 Old buildings often conceal contaminants: lead paint, asbestos, mold, pesticides, and coal dust. Finding out whether they are present, and safely abating them may require the help of a trained professional. Larger air leaks are usually obvious, and therefore easy to identify and fix. 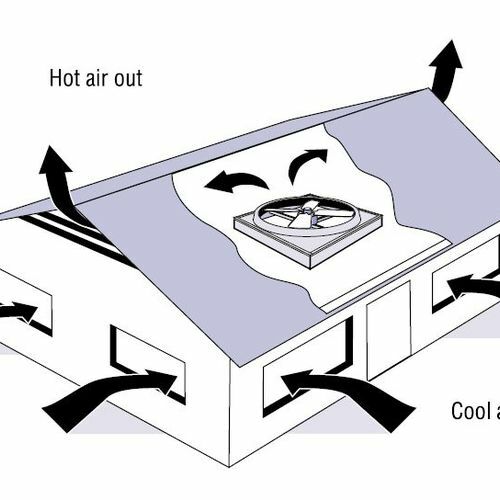 But older houses may have many smaller air leaks that are difficult to detect. 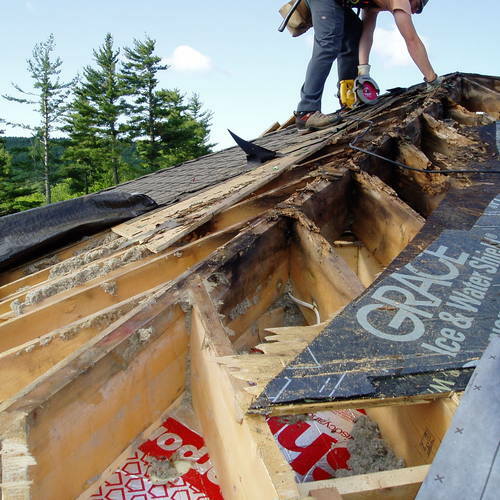 In a drafty house, such leaks may cause building materials to dry out more quickly. But if a house is tightened up and insulated, the moisture equilibrium may be disturbed. Design strategies for a gut rehab should include minimizing demolition and construction waste, choosing more durable materials, installing an effective air barrier, and testing for hazardous materials. 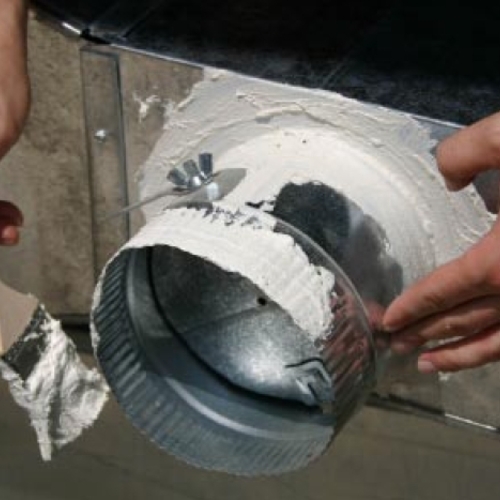 If existing ductwork is reused, seal it off to keep it free of contaminants during construction. If necessary, install a radon mitigation system. Insulate the floor slab and foundation walls. Control bulk moisture–the flow of water through holes, cracks, and other discontinuities into basement walls. Air-seal the building carefully. 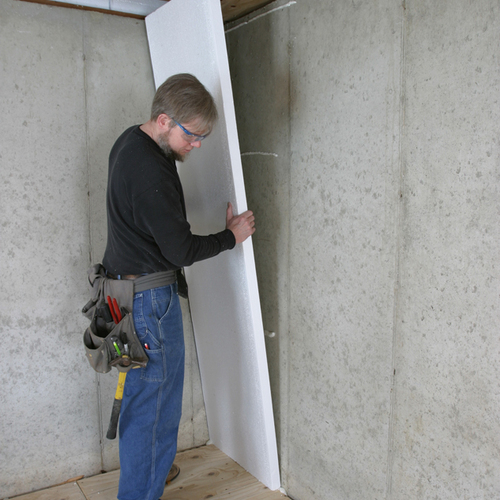 Superinsulate the walls from the inside or outside, and use formaldehyde-free insulation. 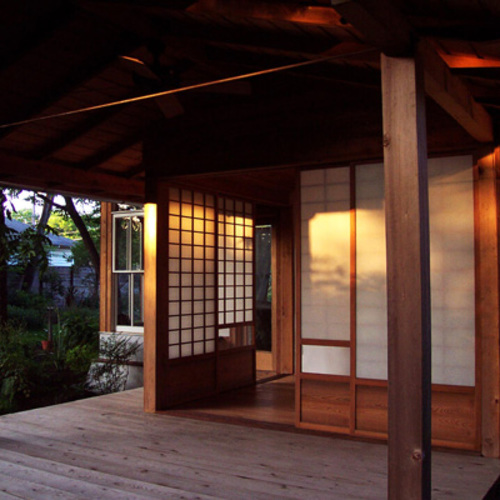 If necessary, replace existing doors and windows with energy-efficient versions. Minimize materials with advanced framing practices, and specify the use of FSC-certified framing, sheathing, and siding. Design mechanical systems for efficient distribution. Specify high-efficiency appliances. 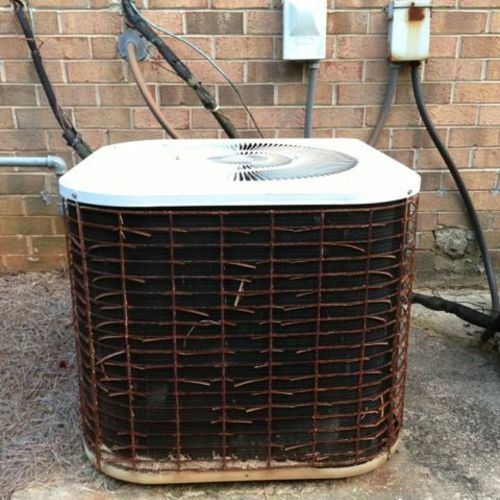 Avoid ozone-depleting refrigerants. Vent all combustion heaters. 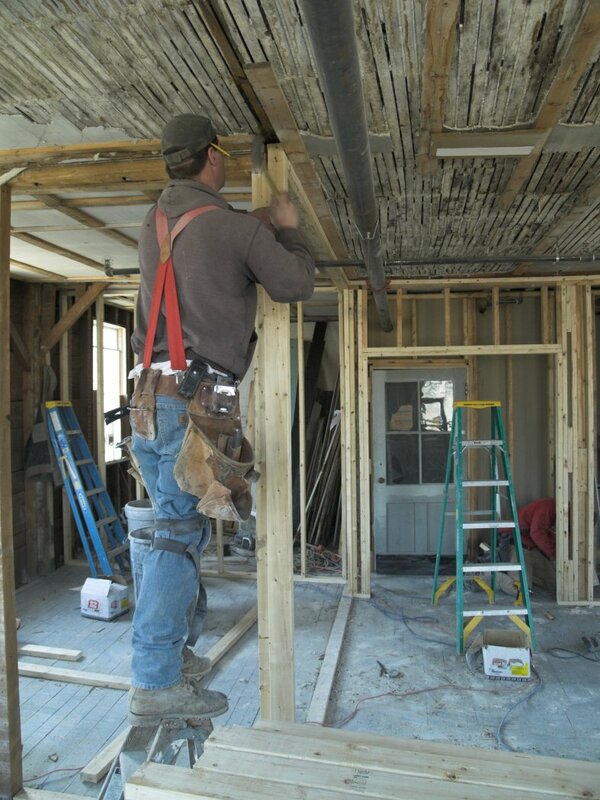 Reconfigure plumbing to distribute hot water efficiently, and insulate hot-water lines. Consider an on-demand, tankless water heater. As difficult as it is to become homeowners in New York City’s perpetually tight housing market, Alicia and David finally managed to purchase a brownstone in Harlem. 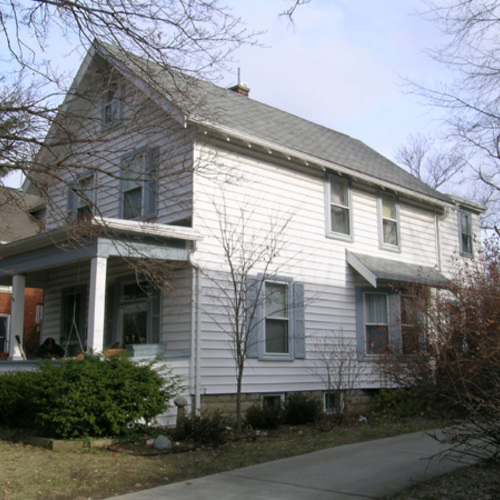 The trashed and stripped structure needed a complete makeover, including a new roof, new windows, insulated exterior walls, interior walls, and new HVAC, plumbing, and electrical systems. Despite a tight budget, the experienced green design team and actively engaged homeowners created an elegant, daylit townhouse with a spacious kitchen, low-emitting materials, and numerous green amenities. ALL THAT’S LEFT ARE THE DETAILS. 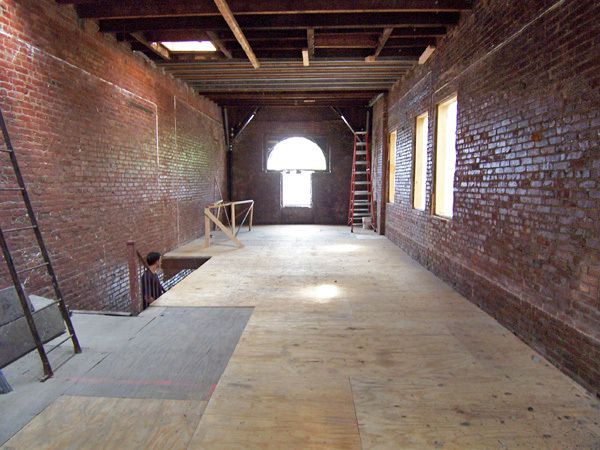 After the building was stripped down to the bare walls the building’s 19th Century exterior details still remained, providing a historic canvas for rebuilding with new systems, including the entire roof. The goal was a healthy green home. Convinced of the value of building green, and with David having suffered lifelong allergies, the couple was invested in creating a healthy and environmentally friendly home. Both the contracting team and the homeowners accepted building green on a budget as a design challenge. The team viewed the whole process through the lens of environmental impact, carefully considering energy efficiency, indoor air quality, and environmentally friendly materials. In selecting each product, the homeowners took care to ask whether a greener product could be found. STARTING FRESH ALLOWS YOU TO REBUILD GREEN. If all the walls and interior partition are removed, the air barriers and insulation are easy to upgrade, and the the house’s utilities can be reconfigured in a more efficient way. The homeowner’s allergies made it important to remove anything and everything that might have contained allergens. STEEL STUDS HAVE SOME ADVANTAGES. 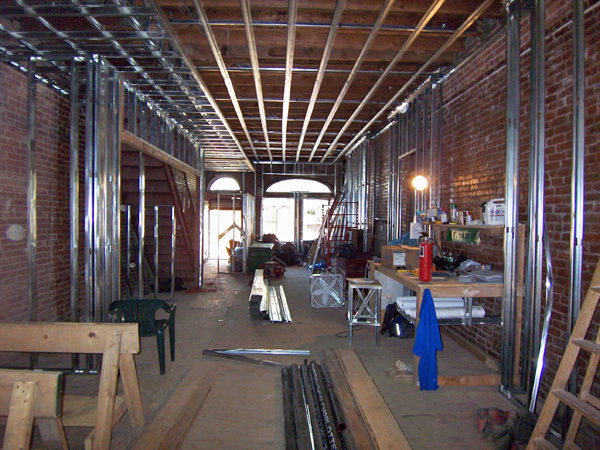 Although steel framing members are not suitable for exterior walls, due to their thermal bridging, they are free from defects and straighter than wood studs. Other green advantages include the facts that they are recyclable, can be made from recycled steel, and they are predrilled, which makes running wires quicker. 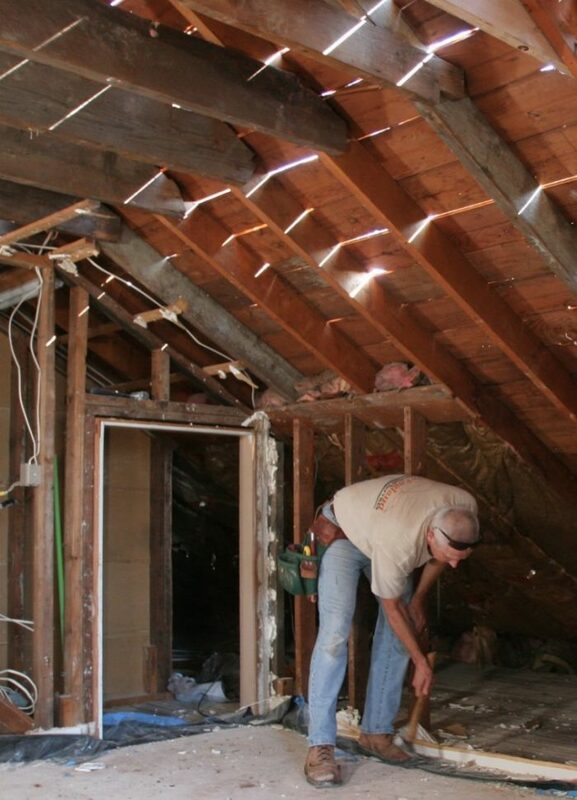 Like many homeowners on a budget, David and Alicia did the demolition work themselves. Although the structure was filled with moldy drywall and trash, it was free of lead paint and asbestos; improper abatement of these hazards can pose ongoing problems. The design-build team and the homeowners worked closely together throughout the project. David and Alicia researched green products. Nick Moons of GreenStreet Construction, Inc. The homeowners knew it would be a challenge to tackle this extensive gut rehab on a budget. How to creatively address budget constraints while achieving their aesthetic and green goals was a major component of the conversation from the start. Their answer to budgetary surprises was to pitch in even more of their own labor, rather than compromise on quality. Partly for this reason, the project took two years to complete. LEED for Homes Gut rehabs are eligible to pursue LEED Home certification; many points are easier to earn, e.g., points in MR2.2 (Materials & Resources) for salvaged materials. Hi there , I have 16 ha of rural land which I am trying to develop. There are no services in the area because of its location and electricity supply is an issue . So I am looking for some advice on building a whole sustainable village from the design stages . sounds interesting and promising. I'd say small homes perhaps methane, solar and wind energy. Iam working on a fifty's build house with brick ext. and its in miss. and has had severe termite/water vapor damage. Everythings going except the brick ext. Going to close up all the vents in crawlsp and put new TGI's for flooring and fac truss's with a storage pl for furnac and h2o htr. My question is if I cover the inside of the brick with 3/8-1/2 mortar and spray foam and put insulation in the walls and attic and vent the attic like Dr. Joe says and have a conditoned space for the furnace. This would really keep things driy and possibly put a dehum in cwlsp? I plan to put in hvr system. We need to know more information. Is this a load-bearing brick wall or brick veneer?